There is denying the fact that Bitcoin and Ethereum are amongst the most popular products of the blockchain technology. However, more in these products will only happen when they would be adopted by more and more businesses on a larger scale. It is known that businesses have sensitive information which they don't like to discuss with an outsider. Sometimes, the public blockchain network interrupts with their functioning and hence they have started opting for creating their own blockchain network where they have permission to add or subtract any member from the network. There is a lack of scalability in transactions which has been found in the public blockchain networks. This is because most of the blockchain networks still rely on the POW algorithm which takes work from the miners and increases the complexity of the project as a whole. This leads to lack of scalability and overall a reduced throughput is seen with them. Hence, creating a private blockchain network does wonder for the people trying their luck in business. 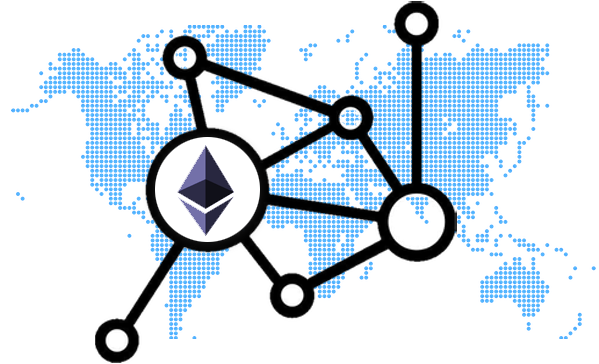 The data sharing is much more confidential and private in the private blockchain and hence you must hire the best blockchain development services. It will increase the efficiency of your work. The glorified databases allow the private blockchains to become similar to the public ones in the near future. The private blockchains are for those who don’t want to indulge in using the public blockchains present till date. You can create private blockchain network and for that, you need to offer invitation initiated by the network initiator. Every participant gets permission to invite more people to the network. The idea of private blockchain development is loved and accepted by businesses who want to keep their affair even more personal and secure.